Head to the Uluwatu Temple and enjoy dinner under the stars. Discover an underground world at the Batu Cermin Cave. 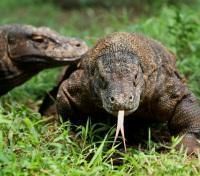 Spot komodo dragons as a ranger takes you through Rinca Island. 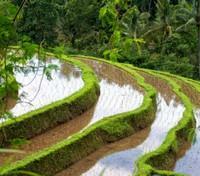 Walk amongst the beautiful rice terraces of Jatiluwih. Enjoy an expert selection of hotels. Your heart will leap as you spot a prehistoric Komodo dragon lumbering through the dry forest on a remote Balinese island where pristine, pink-hued beaches play second fiddle to its fascinating reptile inhabitants. From the simple pleasure of the wide smiles of the warm and welcoming Balinese people, to magnificent golden temples, vibrant terraced rice paddies, pink-hued beaches and a wild encounter with Indonesia’s prehistoric icon, you’ll find everything you’re looking for in Bali. Your experienced team of local guides and private drivers will ensure you get the most from every experience, and a range of refined spa resorts and luxury beach hotels will impress. Transfer from the airport to Ubud with a private vehicle and English speaking guide. Transfer time is approximately 1 hour and 7 minutes. Located in the center of Ubud, the Komaneka at Monkey Forest is surrounded by lush tropical vegetation and an abundance of exotic plants, a veritable oasis in the midst of Ubud's bustling activities and picturesque Monkey Forest Road, with its many wonderful shops, excellent restaurants and easy access to temples, cultural performances, museums and galleries. Komaneka Resorts in Ubud Bali is carefully created to fulfill upscale travelers expectations for a comfortable stay in a spacious luxurious room, surrounded by natural Ubud's beauty. 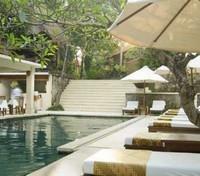 The staff accommodate the guest’s needs and provide guests with excellent Balinese hospitality. Nestled between running streams and rice terraces, Komaneka at Monkey Forest was built for an experience of living with arts and being part of hundreds of years old culture and traditions that flourished in this island. The hotel features many facilities to accommodate guests need such as the pool bar, fine art gallery and gift shop, swimming pool, free Wi-Fi, welcome drinks, afternoon tea and Balinese Western Cakes, special dinners, trekking and other various activities. Depart in the morning from your hotel, and drive to Munduk village. Upon arrival, enjoy a beautiful trekking through coffee, cloves, cacao and other exotic tropical plantations around the village. Your guide will give you the insight to the mountain farming live and the importance of the plantations that once attracted the arrival of Europeans to the archipelago. Visit the lovely waterfall with its refreshing breezes. After short refreshment, it’s the time to leave Munduk village and drive to Jatiluwih. We are joining a pleasant walk to discover the beautiful terrace rice fields of Jatiluwih, a UNESCO world heritage site. Stop for lunch at a local restaurant nearby. Afterward continue visit the holiest temple of Batukaru temple, located on the southern slope of Batukaru Mountain. Amidst the pure mountain air and the scent of the wet soil, one could feel the energy of this special place. Start the day with a visit to Kerta Gosa, or Hall of Justice, built in 18th century in Klungkung. It is beautifully laid out within a moat and provides an exquisite example of the Klungkung style of painting and architecture which can be seen in the ceiling murals. Continue through spectacular views of terraced rice fields to Besakih temple, located on the slope of Mount Agung, Bali's highest volcano. It's called Mother Temple of Bali as it houses ancestral shrines for all Hindu Balinese and a complex of nearly 24 temples. The next stop iwill be Kintamani, where you can enjoy your lunch with a breathtaking view over the caldera lake, Danau Batur. Driving down, arrive in the bottom of a lush green valley where the Gunung Kawi temple, Bali's largest ancient monument is located. It consists of 10 rock-cut shrine memorials standing 7 meters high in sheltered niches cut into the sheer cliff face. End the tour with a stop at Goa Gajah before returning to your hotel. In the morning, you will be picked up from your hotel in South Bali and transferred by private vehicle to Denpasar airport for your flight to Labuan Bajo. Fly from Denpasar (Bali) to Labuan Bajo. Flight time is approximately 1 hour. Upon arrival at Labuan Bajo airport on western Flores, you will be greeted by a representative and taken by car to Batu Cermin Cave, the Ujung fishermen Village, and the local harbor to see the breathtaking views of the sunset. Afterwards, you will be transferred to your hotel for the night. Lunch will be served at local restaurant. 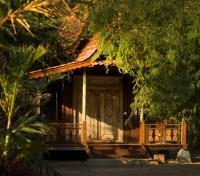 Plataran Komodo Resort is the only luxury resort located on the island, a nature reserve east of Flores. Set on a beach in a secluded cove overlooking the Flores Sea, Plataran Komodo is a wilderness hideaway with accommodation in luxury villas. The protected marine park offers some of the best scuba diving and snorkeling in Indonesia, with pristine reefs boasting a rich array of sea life. Plataran Komodo is designed for the ultimate relaxation experience. Intimate, yet spacious, each villa stands on its own amidst a private tropical garden, and includes personalized service, security, and Xanadu restaurant and bar. After breakfast, you will be transferred to the pier to catch a speedboat to Rinca Island in Komodo National Park. Walk through the typical dry forest and explore the island of Komodo dragons, where you will find not just the dragons but you might also encounter other wild animals like, deer, wild buffalo, long-tailed macaque, wild boar, and numerous birds. A local ranger will lead you through this nature reserve, where afterwards you will take a boat ride to Kelor Island and Bidadari Island for swimming and snorkeling. In the afternoon, head back to Lebuan Bajo. 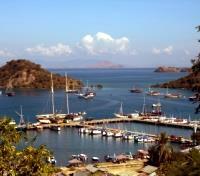 After breakfast you will be transferred to the aiport in Labuan Bajo. Fly from Labuan Bajo to Denpasar (Bali). Flight time is approximately 1 hour. Upon arrival in Ngurah Rai airport, you will be greeted by a representative and then directly transferred to your hotel in South Bali. The Intercontinental Resort is secluded within the boundaries of the exclusive neighborhood of Jimbaran Bay on Bali's southern coastline. 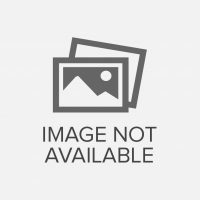 The property is a perfect place for those who want to explore the white and sandy beach. Situated only a walk away from Bali's premier tourist areas, the InterContinental Resort is just a short drive from the city center. Blending modern conveniences with traditional Balinese architecture, the 425 luxury rooms offer you maximum comfort The onsite restaurants serve authentic Japanese cuisine as well as Italian specialities and P.J's the hotel bar is an ideal spot to unwind with a refreshing drink. The spa is an oasis of serenity and natural splendor for those seeking to replenish body, mind and soul. 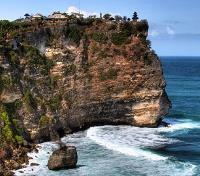 Enjoy a sunset outing to the southwestern tip of Bali for a visit of the Uluwatu Temple, which is perched precipitous on top sheer cliffs that drop straight into the pounding surf, 250 feet above the sea. 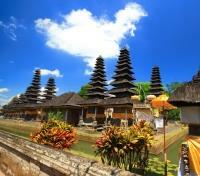 This is one of the temples in Bali built in the 11th century. Watch the spectacular sunset overlooking the Indian Ocean and enjoy the mystic atmosphere. End your night at Anantara Uluwatu with a rijtaffel seafood dinner. Rijtaffel translates to "rice table," and is an elaborate meal adapted by the Dutch consisting of many dishes served in small portions, accompanied by rice. The menu changes daily depending on what has been freshly caught. Meet your driver for an airport transfer with a private vehicle and English speaking guide. Transfer time is approximately 25 minutes.